Would you make a good conservation scientist? Take our career test to find out how you match with this and over 800 other careers. What is the workplace of a Conservation Scientist like? A conservation scientist is someone who manages the overall land quality of forests, parks, rangelands, and other natural resources. They work with landowners and all levels of government to devise ways to use and improve the land while safeguarding the environment. They advise farmers, farm managers, and ranchers on how they can improve their land for agricultural purposes and to help control erosion. Many conservation scientists supervise forest and conservation workers and technicians, directing their work and evaluating their progress. They must give clear instructions to forest and conservation workers and technicians, who typically do the labour necessary for proper forest maintenance. They evaluate data on forest and soil quality, assessing damage to trees and forest lands caused by fires and logging activities. Conservation scientists often walk long distances in steep and wooded areas. They work in all kinds of weather, including extreme heat and cold. Conservation scientists must evaluate the results of a variety of field tests and experiments, all of which require precision and accuracy. They reach conclusions through sound reasoning and judgment. They determine how to improve forest conditions, and they must react appropriately to fires. They must use their expertise and experience to determine whether their findings will have an impact on soil, forest lands, and the spread of fires. Conservation scientists use a number of tools to perform their jobs. They use clinometers to measure the heights of trees, diameter tapes to measure a tree’s circumference, and increment borers and bark gauges to measure the growth of trees so that timber volumes can be computed and growth rates estimated. 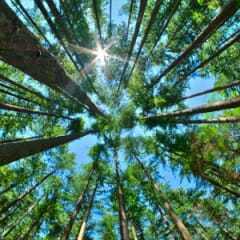 In addition, they often use remote sensing (aerial photographs and other imagery taken from airplanes and satellites) and geographic information systems (GIS) data to map large forest or range areas and to detect widespread trends of forest and land use. They make extensive use of hand-held computers and global positioning systems (GPS) to study these maps. - also called range conservationists, protect rangelands to maximize their use without damaging the environment. Rangelands contain many natural resources and cover hundreds of millions of acres. Range managers may inventory soils, plants, and animals; develop resource management plans; help to restore degraded ecosystems; or help manage a ranch. They also maintain soil stability and vegetation for uses such as wildlife habitats and outdoor recreation. Like foresters, they work to prevent and reduce wildfires and invasive animal species. - give technical help to people who are concerned with the conservation of soil, water, and related natural resources. For private landowners, they develop programs to make the most productive use of land without damaging it. They also help landowners with issues such as erosion. They help private landowners and governments by advising on water quality, preserving water supplies, preventing groundwater contamination, and conserving water. Are you suited to be a conservation scientist? Conservation scientists have distinct personalities. They tend to be investigative individuals, which means they’re intellectual, introspective, and inquisitive. They are curious, methodical, rational, analytical, and logical. Some of them are also artistic, meaning they’re creative, intuitive, sensitive, articulate, and expressive. Does this sound like you? 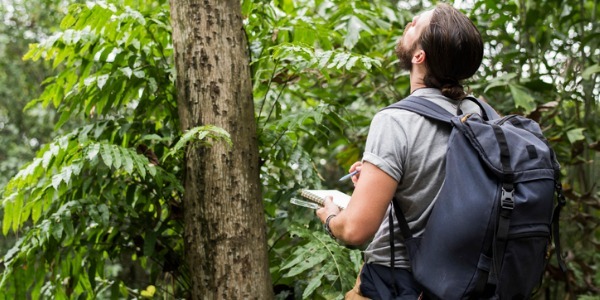 Take our free career test to find out if becoming a conservation scientist is right for you. Conservation scientists work for all levels of government or on privately owned lands. They typically work in offices, in laboratories, and in the outdoors, sometimes doing fieldwork in remote locations. The work can be physically demanding. Some conservation scientists work outdoors in all types of weather, occasionally in isolated areas. They may need to walk long distances through dense woods and underbrush to carry out their work. In an isolated location, a conservation scientist may work alone, measuring tree densities, regeneration, or other outdoor activities. Others work closely with the public, educating them about the forest or the proper use of recreational sites.